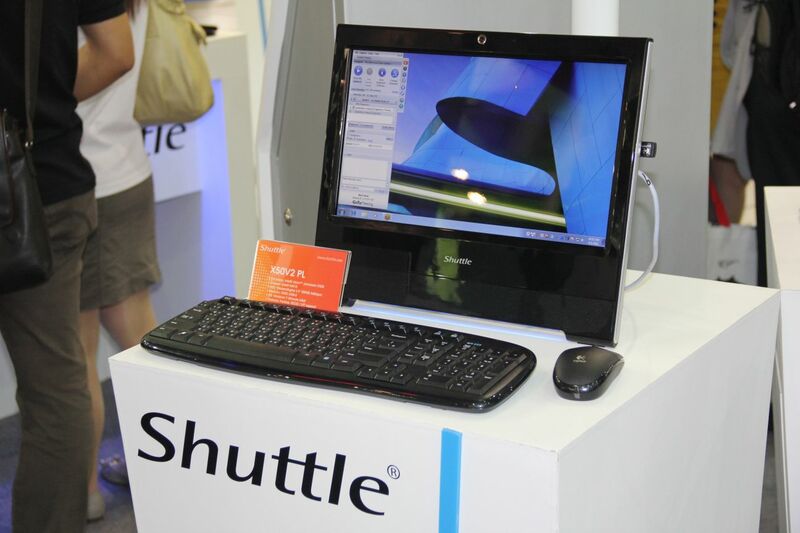 Last year we brought you coverage of Computex and Shuttle’s offering of a unified laptop standard where interchangeable components meant an almost limitless upgrade potential for your shuttle computer. 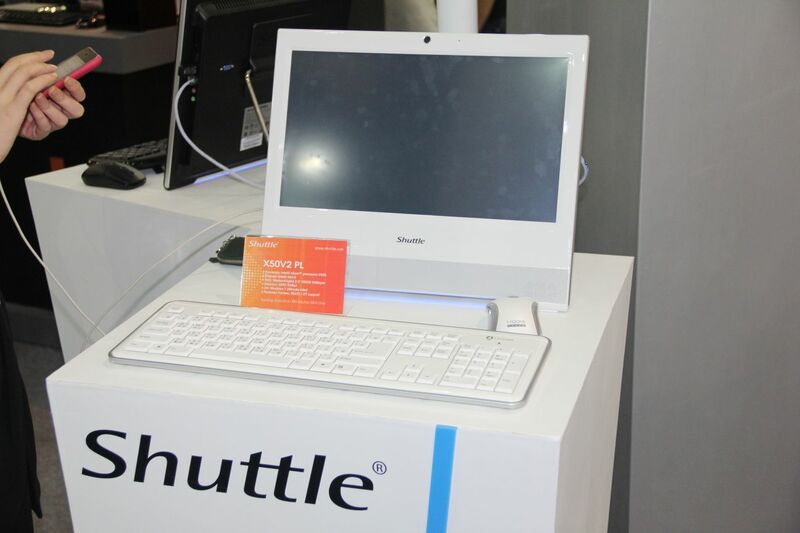 This year Shuttle’s focus has changed like many manufacturers to the tablet market. 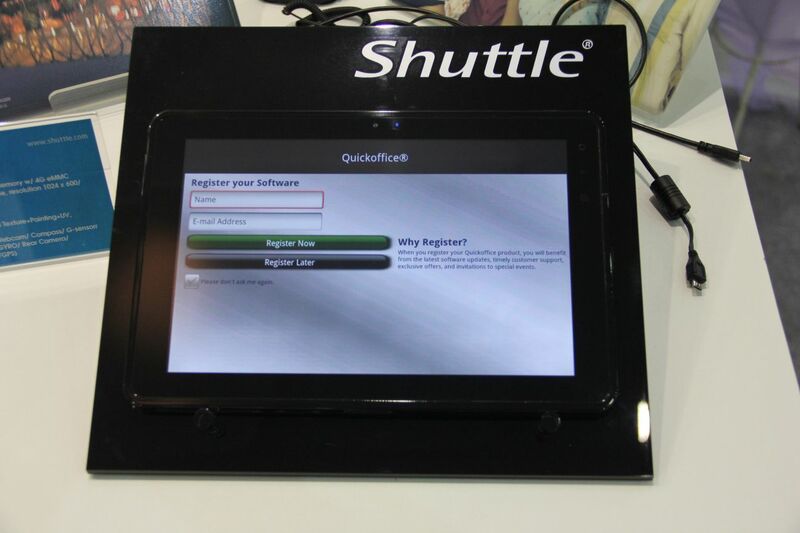 We won’t mention names as we have been asked not to but if you are in the USA and have visited a Best Buy or CompUSA then its likely you have seen Shuttle’s Tablets already. 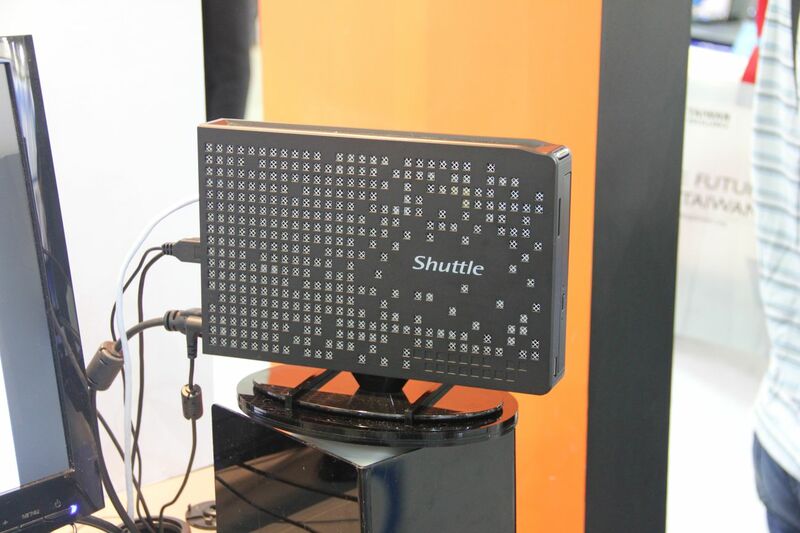 That’s right Shuttle Tablets are marketed internationally under other brands. 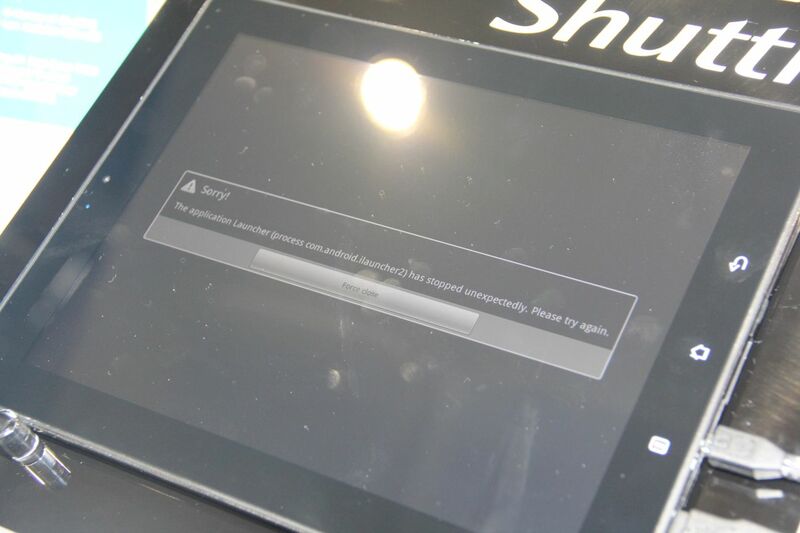 The tablets we were shown today are affordable, useable, and nicely built. 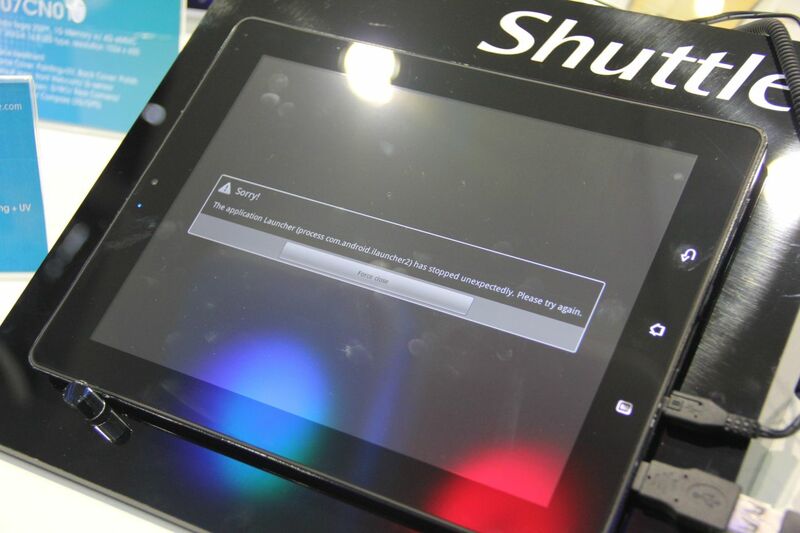 These same tablets rebranded in the USA come with slick shell’s customized plates and the Android 2.2 OS. We have been assured that these tablets are Android 3.0 ready but as cell phone users are aware that will heavily depend upon the decision of the brand which you buy your tablet from. 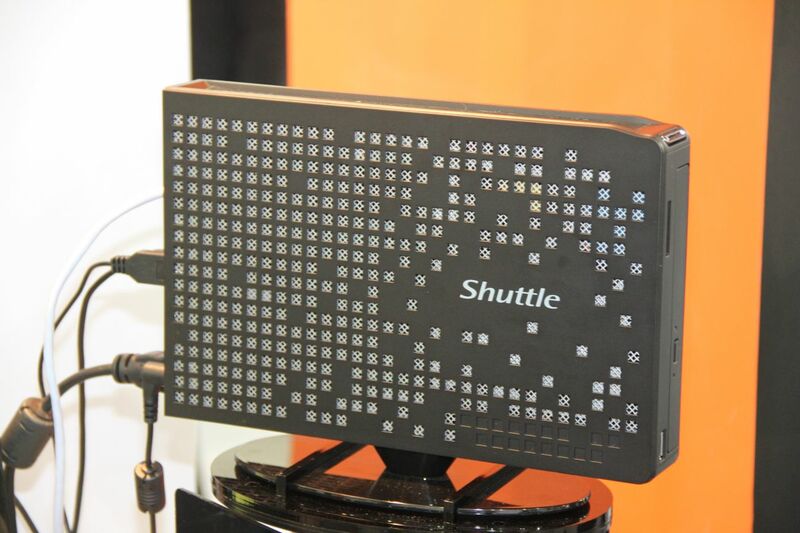 With 7″, 9″, and 10″ offerings all coming with either 1024 x 600, 1280 x 800, Wireless B/G/N, and 1GB of OS plus 4GB of onboard storage and a micro SD expansion slot these little tablets have a lot of potential for many consumers. 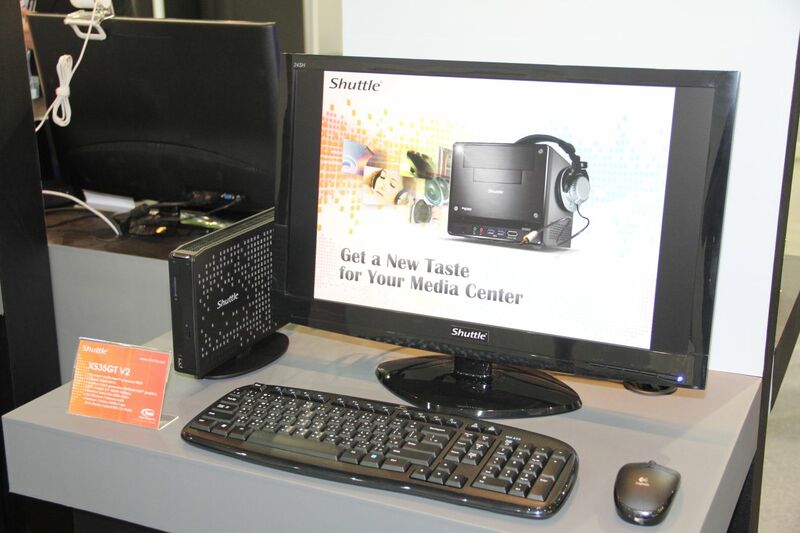 Shuttle retains their offering of the small form factor PC’s which made them famous. 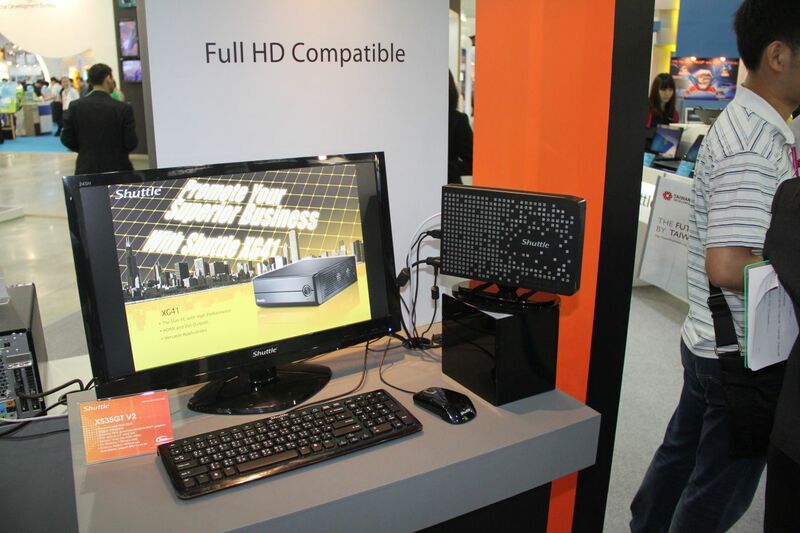 This year you can expect to see P68, Z68, and later down the road Llano based platforms from them. 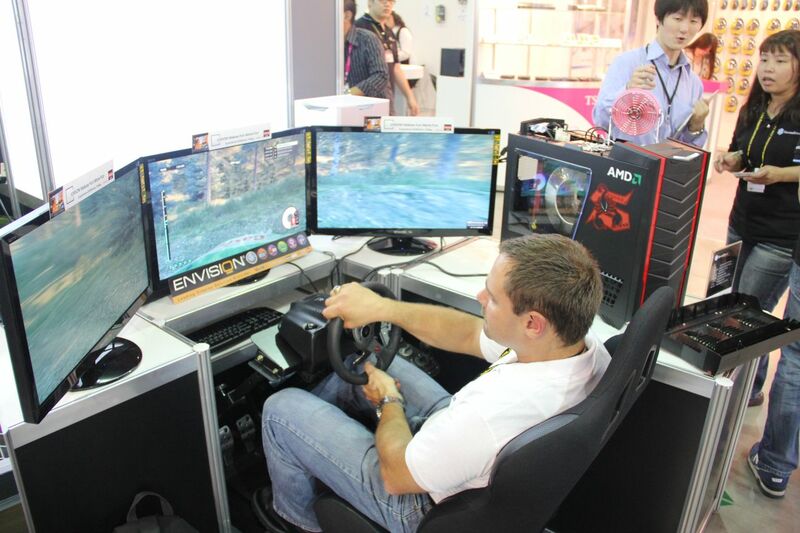 We took the opportunity to sit down at one of their current SFF gaming machines to get some time at the wheel of Dirt3. 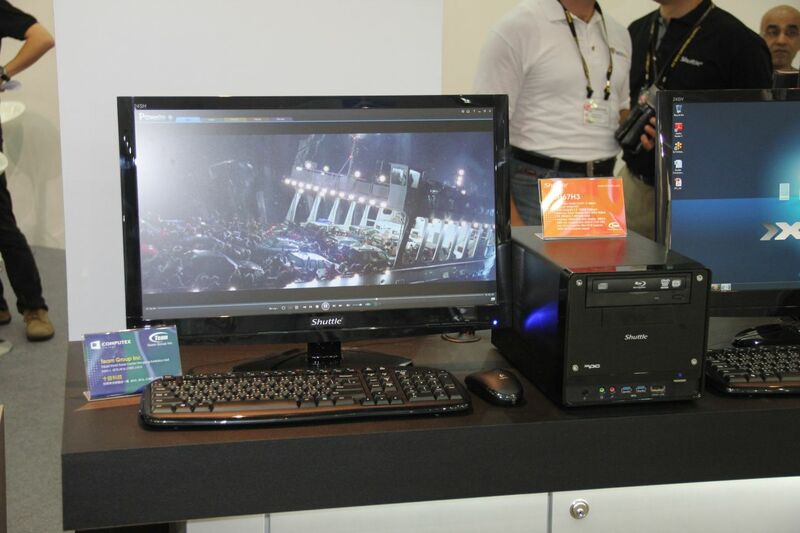 The SX58H7 Pro offers the powerful i7 CPU with the ability to house up to a Radeon HD 6970 all in a very portable form factor. 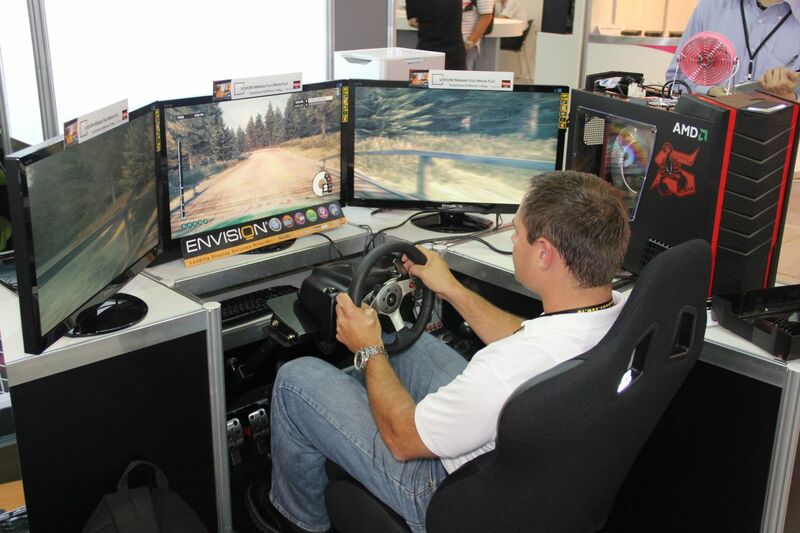 Think of it as the power of a full size monster gaming rig in the palm of your hand. 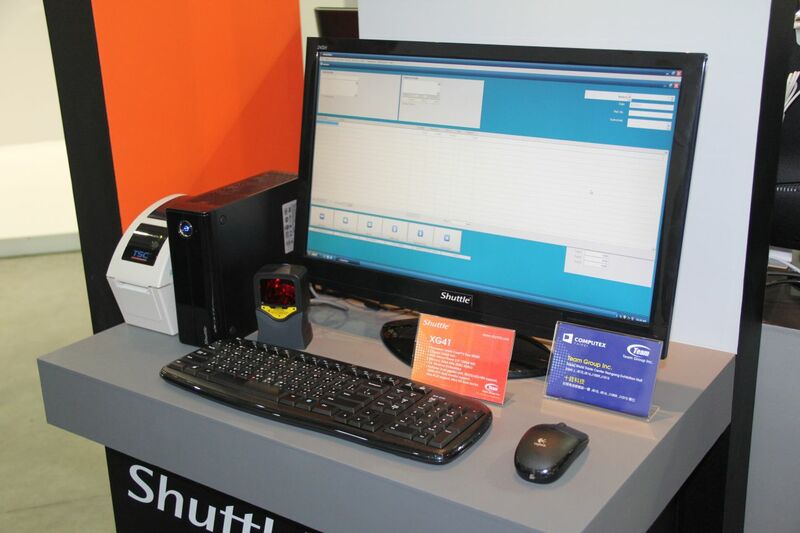 Other products on hand from Shuttle included Nvidia ION as well as Fusion platforms which offer POS and HTPC capability without the power drain of a more powerful machine. 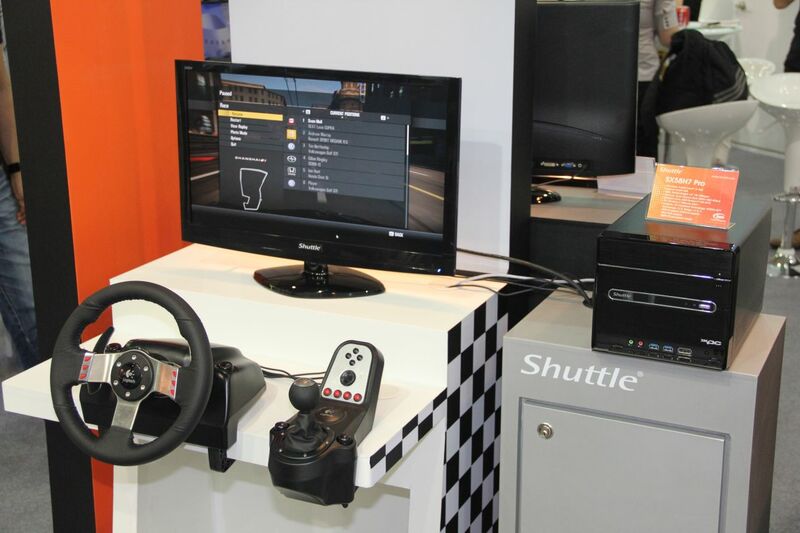 Throw an SSD into the XS35GT V2 and you have a system that can endure shakes and motion without skipping a beat. 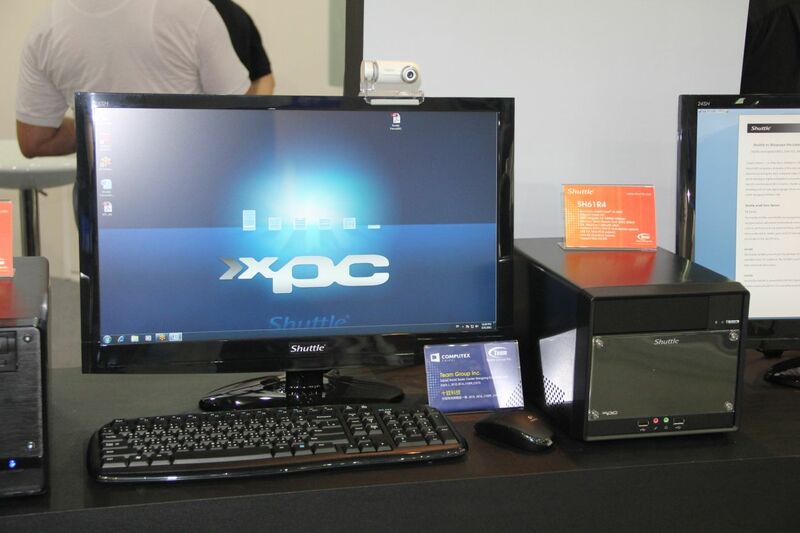 Take a look at our Gallery from Shuttle PC. Good post. I learn something new and challenging on websites I stumbleupon every day. It’s always exciting to read through content from other writers and use something from their web sites.